With CES already a distant memory we're gearing up from Mobile World Congress next month, where some of the world's biggest tech companies will unveil new smartphones and tablets. Today you can add Nokia to that list. The Finnish company sent out an official invitation this morning, asking the press to set aside an hour on Monday morning, Feb. 24, for a big announcement. 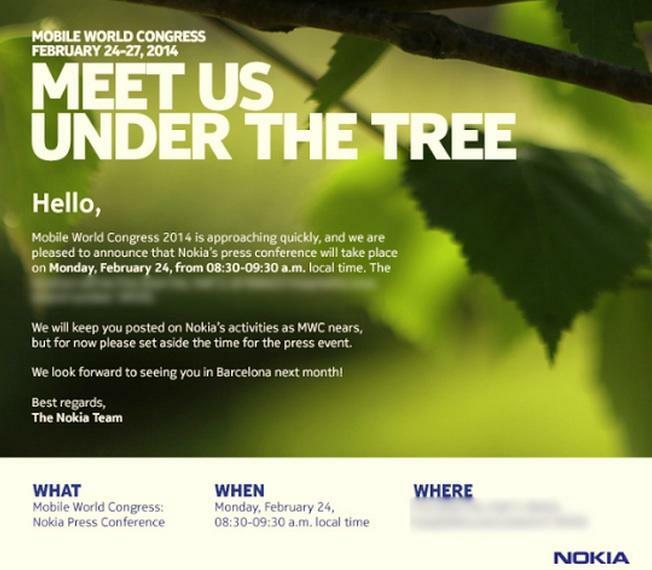 Nokia doesn't offer much information about what the topic of its MWC press conference will be. The invitation asks us to meet the company "under the tree," though for now we have no idea what could mean. Based on recent leaks, we'd say the company will probably unveil Lumia Icon, a 5-inch 1080p Windows Phone 8 handset. The rumored Nokia Normandy Android smartphone could also make an appearance. It's also possible we won't see any new smartphones at all. Nokia is set to sell off its mobile business to Microsoft and the company could use the opportunity to announce its plan for the future. Either way, TechnoBuffalo will be covering the event—and the rest of the mobile trade show—live from Barcelona.